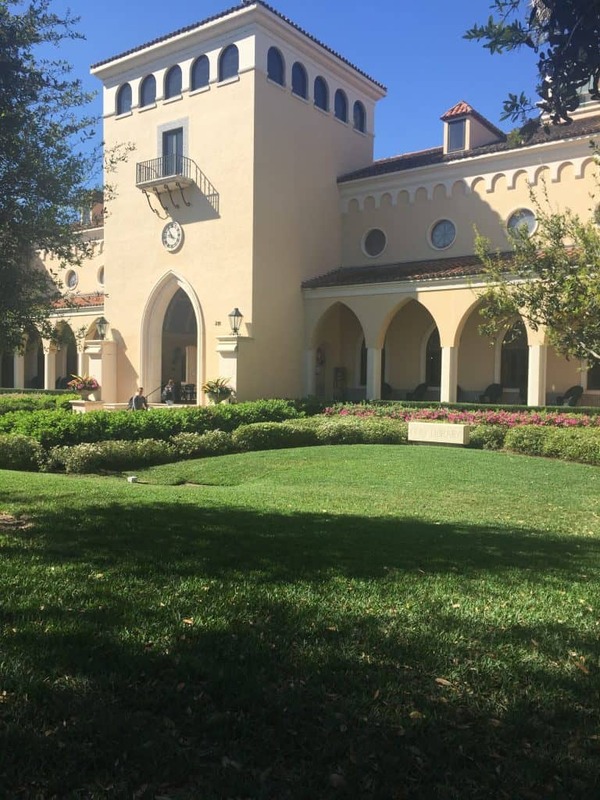 Located in charming suburban Winter Park, Florida, 10 minutes from downtown Orlando, Rollins College is a small liberal arts college on Lake Virginia. With about 1900 undergraduate students, Rollins provides a rigorous, intimate education through small classes and dedicated faculty on a lush, beautiful residential campus. Each Rollins student achieves a foundation in the liberal arts, engaging with the sciences, humanities, arts and social sciences by taking five courses thematically linked in one of four “neighborhoods:” When Cultures Collide; Mysteries and Marvels; Identities: Windows and Mirrors; and Innovate, Create, Elevate. The term neighborhood was adopted by Rollins as an affectionate tribute to its most famous alumnus, Fred Rogers, creator of the educational preschool television show Mister Rogers’ Neighborhood. Here are some additional quick facts about Rollins. At Rollins, business, international business and the sciences are the most popular majors. The $30 million Bush Science Center, dedicated in August, 2013, houses all science departments and provides stunning architecture and flexible open work spaces conducive to collaborative work. Study abroad is also extremely popular – over 80% of Rollins students spend at least a semester studying in another country. Rollins boasts a 10% international student body with representation from 50 countries, as well as all 50 states. Outside the classroom, Rollins students know how to kick back, relax and have fun. The campus abounds with inviting outside community spaces replete with gorgeous foliage and fountains. There are two pools – a lap pool and a lounge pool – and a waterfront on Lake Virginia. Abutting the waterfront and lap pool is the campus center which houses the main dining hall and a gleaming new eatery and pub, Dave’s Boathouse. Approximately 43% of Rollins students are members of a fraternity or sorority; so Greek life is a strong presence on campus. Over 100 clubs are available to students. The day I visited campus students were eagerly awaiting Fox Day, a day on which students awaken to find that a statue of a fox has been placed on the plaza abutting Mills lawn. On this day all classes are cancelled and there are festivities and free food all day long. Students may choose to either stay on campus or head off campus to destinations such as the Disney parks or the beach. This event is so highly anticipated that there is even a live feed camera set up so students can constantly watch for the appearance of the fox, no matter where they are. I asked my tour guide, Laura, why she chose to attend Rollins. She said simply “When I visited I fell in love with the campus. I also wanted a small school with small classes and individual attention from professors.” This sums up Rollins perfectly! Jennifer visited Rollins in March, 2016. You can see her photos here. The photo in the header of this page is the Annie Russell Theater at Rollins College.